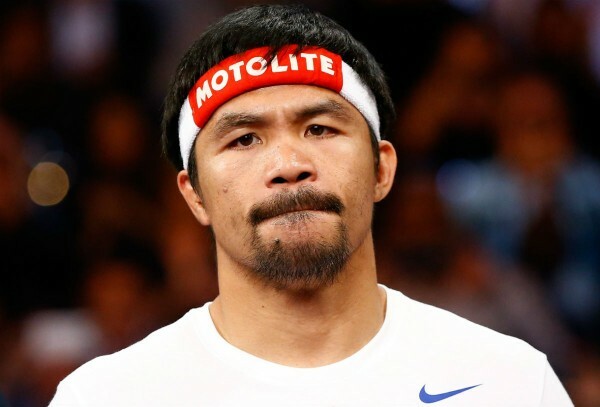 Eight-division world champion Manny Pacquiao (57-6-2, 38 KOs) is reportedly set to choose between Timothy Bradley (33-1-1, 13 KOs), Amir Khan (31-3, 19 KOs), and Terrence Crawford (27-0, 19 KOs) for the potential opponent in the final fight of his legendary career in April 2016. Boxing News 24 reported that Top Rank boss Bob Arum has disclosed that he will meet with Pacquiao in the Philippines this December to finalize who among the three he would fight next year. Arum even said that the 2000 Fighter of the Decade will watch tapes of Bradley's knockout win against Brandon Rios last Saturday, Khan's fight with Chris Algieri last May, and Crawford's shellacking of Dierry Jean last month, before the former number one pound-for-pound fighter in the world would decide. The 83-year-old boxing promoter did not give any hints on who is most likely to face Pacquiao in April 9 next year. But rumors abound that Arum wants Crawford to get it as the 28-year-old Nebraska native is in the Top Rank stable and they would want to upgrade his value by fighting, or even beating, the great Pac-Man. Fans are said to be unexcited about the prospect of a third fight between Pacquiao and Bradley, while a bout with Khan would mean that Arum will have to make compromise with his well-known nemesis Al Haymon again, so both options seem unlikely than the third. However, some boxing pundits believe that the only true PPV worthy event between the three would be Pacquiao versus Khan as the Bolton bomber is more popular than Crawford. Khan has also never faced the Filipino inside the ring in an official match, so there would be something new to offer the fans. Meanwhile, Bradley said that he wants Crawford, his close friend, to get the Pacquiao fight and become the next superstar in boxing, as per Boxing Scene. 32-year-old Bradley, who is currently being trained by Teddy Atlas, argues that a third fight between him and Pacquiao "would be different", but he wants Crawford to get the shot in order to boost his fighting career.